NAMI NJ volunteers maintain a very close working relationship with the United States Department of Veterans Affairs in New Jersey (VANJ) on mental illness issues for veterans, military, and families. NAMI NJ is an active member of the VANJ Veterans Advisory Council (VAC), which provides Veterans’ individual related input and recommendations to the Assistant Chief of Staff for Mental Health Services. NAMI NJ is also working with the New Jersey Department of Veterans and Military Affairs (DMAVA) to support National Guard members and families. This Group was formed to help NAMI NJ identify ways that NAMI can best support our veterans and military and their families. We are asking the questions: How can we help veterans tap into existing resources? How can we reach family members? What is there for spouses and children? NAMI NJ is seeking your ideas and expertise. 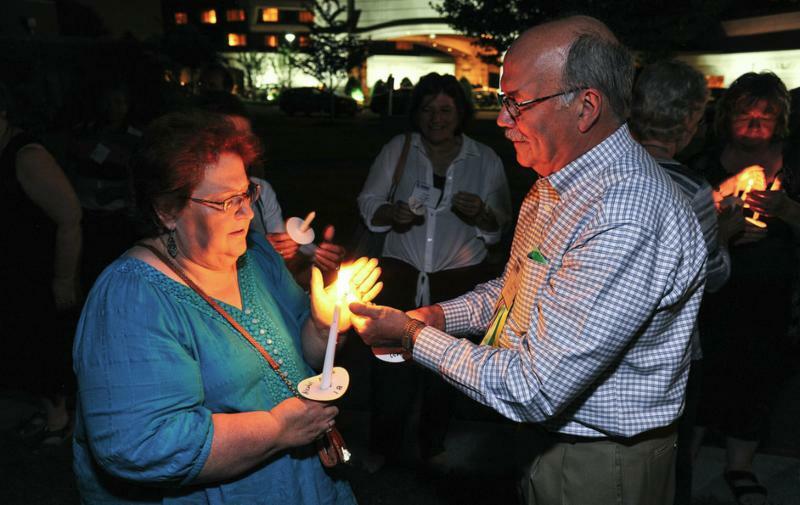 On September 5, 2014, NAMI members joined the Veterans Suicide Candlelight Vigil hosted by the NAMI Veterans and Military Council to commemorate the 22 veterans, and 1 active duty service member a day who take their own lives. The Mission of the NAMI Veterans and Military Council is to support the mission of NAMI and specifically to support advocacy and education by NAMI at the federal, state and local levels on mental health policy, educational initiatives and advocacy priorities impacting military personnel and veterans with mental illnesses and family members of these individuals. NAMI Veterans and Military Council Membership is open to veterans and military with mental illnesses, family members of such persons, and others committed to advocating for and helping veterans and military personnel with mental illnesses and their families. NVMC consists of one voting member and one alternate member representing each state, the District of Columbia, each United States territory, and five voting members designated by the NAMI Board of Directors. NAMI NJ participates in monthly meetings at either the Lyons/East Orange Campuses of the VA New Jersey Health Care System (VANJHCS). The VAC consists of veterans and staff, with a veteran as chair, for the purpose of identifying and presenting systemic challenges and recommendations to the leadership of VANJHCS Mental Health Administration. Its overarching focus is to ensure recovery-oriented services are promulgated and become customary. The council meets monthly at Lyons (primary location) and East Orange via videoconference to enable veterans at both hospitals to participate in the meetings and committees. On the national level NAMI has a memorandum of understanding with VA Veterans Health Administration (VHA) signed in 2008 to provide the Family-to-Family Education Program for families and Veterans in every state. The VA provides the facilities for classes, advertising of courses to families, and copying of all course material for each course. The NAMI State organizations working with the VA Local Recovery Coordinators, coordinate class formation, and teach the classes. NAMI NJ’s Family-to-Family Program Coordinator and NAMI Veterans Representative worked with the Local Recovery Coordinators (LRC) and staff of Veteran Centers and Community Based Outpatient Clinics (CBOC) throughout 2008 to educate them about the content of FFEP to help ensure referrals to the classes by clinicians, starting the first FFEP during the summer of 2009. A key collaboration effort is supporting the implementation of the VANJ Mental Health Recovery Transformation Strategic Plan. This effort brings together Veterans and staff as teams working toward the goal of veterans’ recovery. NAMI NJ participates in weekly and monthly conferences/teleconferences at VANJ. Education of the veterans and staff in this new paradigm and veteran community integration are two of the current challenges NAMI is deeply involved in helping to implement. NAMI conducts research and provides information and reports on education opportunities that may be of benefit to veterans and families. One of the current educational effortsis monthly Lunch and Learn sessions for veterans currently being treated as inpatients. These sessions cover recovery oriented topics that can be helpful for these veterans as they reintegrate into their communities and move through their recoveries. NAMI is a working with DMAVA to educate National Guard officers and to ensure that the New Jersey Army/Air National Guard members, families and returning veterans are supported before, during, and after deployments. NAMI maintains liaison with New Jersey and County Veterans’ Service Officers, which help veterans to apply for and receive benefits they are entitled to in a timely manner. We work together to ensure veterans encountering the judicial system or the public mental health system are identified and ultimately supported by the VA system. NAMI NJ participates on Monmouth University’s School of Social Work Advisory Committee for its Coming Home Project designed to educate new and current social workers on veterans’ issues and support needs. 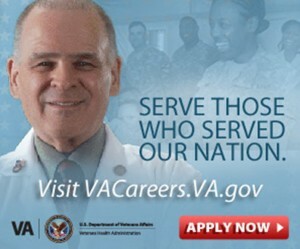 NAMI NJ is proud to partner with the U.S. Department of Veterans Affairs and its mental health outreach campaign Make the Connection. MakeTheConnection.net is a one-stop, video-rich website where Veterans and their loved ones can privately explore information on and watch personal Veteran and Service member testimonials about health and life challenges.